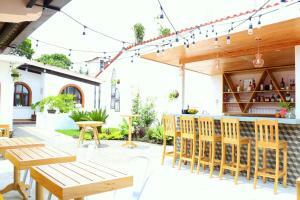 ﻿ Best Price on Hotel La Ermita de Santa Lucia in Antigua Guatemala + Reviews! 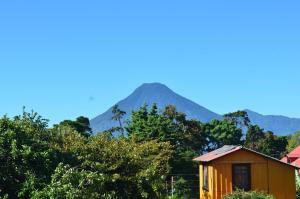 Hotel La Ermita de Santa Lucia is located 2789 feet from Antigua Guatemala main square and from San José Cathedral. It features a garden and free Wi-Fi throughout. The rooms here will provide you with a flat-screen TV and linen. There is also a dining table, and featuring a bath or shower, private bathrooms also come with free toiletries and towels. You can enjoy a garden view from all the rooms. At Hotel La Ermita de Santa Lucia you will find a 24-hour front desk, a tour desk, luggage storage and a laundry. An array of activities can be enjoyed on site or in the surroundings, including horse riding and hiking. 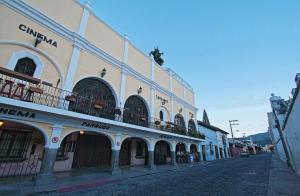 This property is 3 minutes’ walk from the Colonial Art Museum and 0.8 mi from La Merced square. La Aurora International Airport is 24 mi away.